I hope you all had a blessed and joyful Resurrection Day. 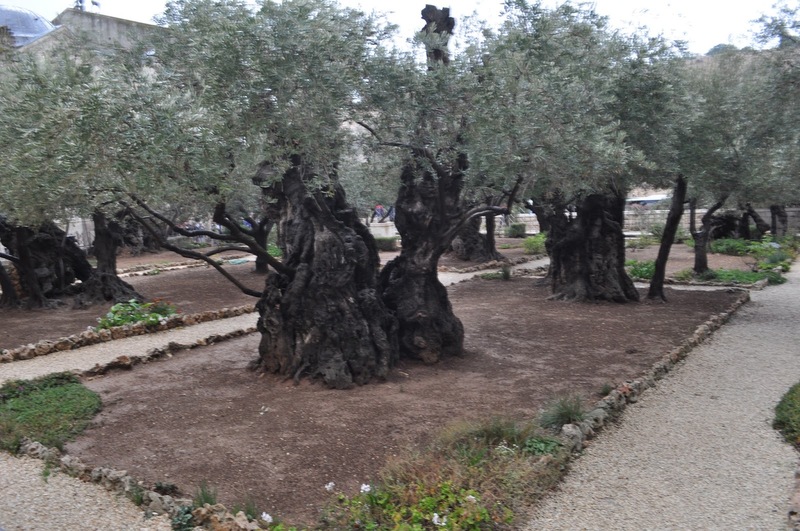 In light of the Easter season, I thought I'd share about our visit to the Garden of Gethsemane outside of Jerusalem. This stop was extra special to me, and I hope you will enjoy this virtual visit. The garden is situated to the east of the city, with a great view of the Temple Mount. 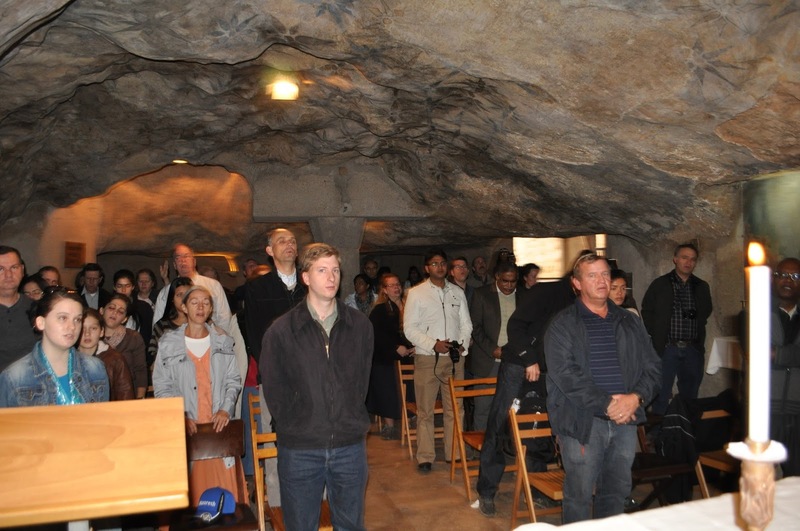 It is mentioned several times in the Scriptures as one of Jesus' favorite retreats, and you can see why. It must have been gorgeous in its prime. The garden was probably composed of Olive trees, and there are still several thousand-year-old trees remaining. The story behind these trees are amazing. Radiocarbon dating places these trees as around 2300 years old. The curious thing about this when Titus came to destroy Jerusalem in 70 A.D., he had ordered all of the trees in the area to be cut down and used for their siege equipment. So it would seem that either these eight trees escaped that destruction, or they have reemerged from the roots of those cut down. Oh, the stories that these trees could tell! They could probably tell us of our Lord's tears as he wept in the garden, they may have witnessed the destruction of Jerusalem and the Jewish Temple, the crusades, the building of the Muslim Dome of the Rock temple. Today, the fruit from these eight trees are harvested each year. The oil from the olives goes to light the sanctuary lamps in the Catholic Gethsemane church, and the seeds are used to make rosary beads. A short distance from these eight trees, beside the Catholic Tomb of Mary, is a natural grotto. 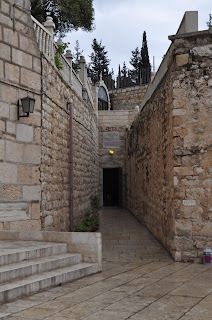 There is a stone passageway that leads to a small area of about 624 square feet. 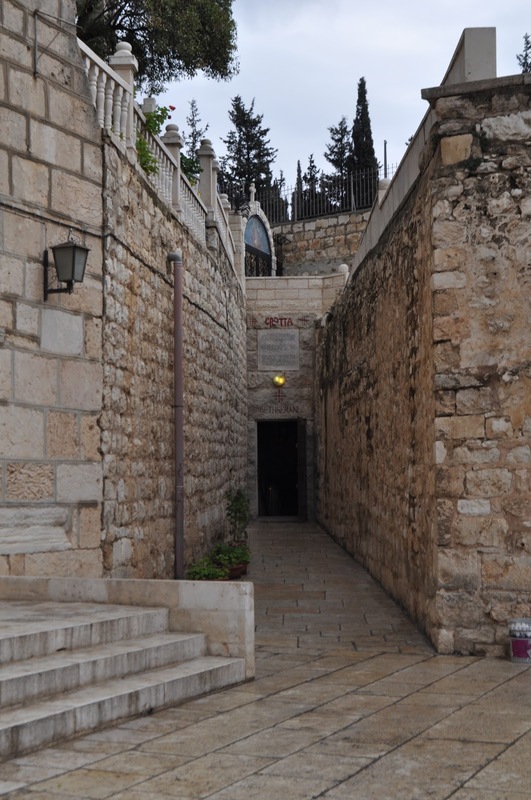 This cave is believed to be the place that Jesus prayed with his disciples, met Nicodemus, and where Judas brought the guards on the night he betrayed Jesus. Inside this cave, there had been an olive press. On one wall, there is a hole that would have been the perfect height for the main beam of an olive press. In John 18:1-2, the apostle mentions going into the garden. Notice that Judas "knew the place for Jesus resorted there often." This was something I had not considered prior to my visit to the Grotto. I always imagined Jesus was just in a big garden. But looking closely at the Scripture, it seems there should be a landmark or a more comfortable place for them to occupy while in the garden. 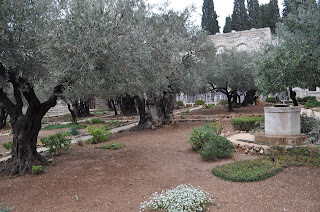 A certain "place" that Judas would have known where the disciples were sleeping (comfortably, it would seem) while Jesus went out a little space (possibly among the ancient trees that remain) to pray. This cave may be that very place. What an experience it was to visit this cave and hold a small service. 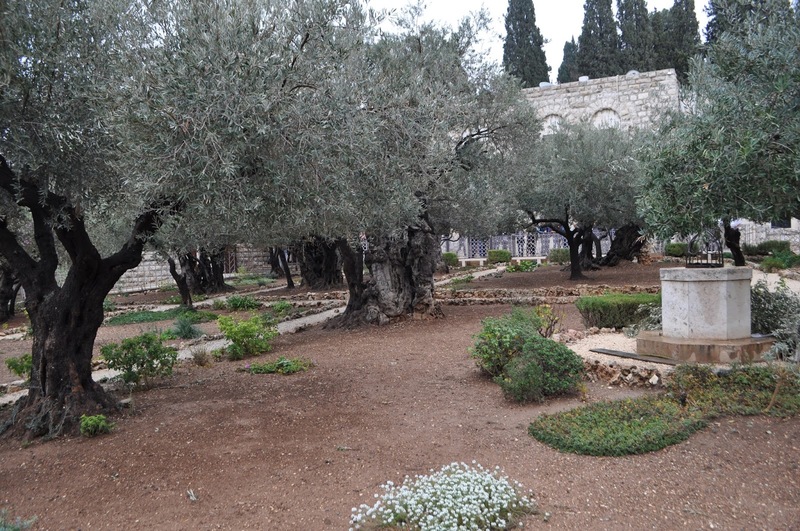 How did you imagine the garden of Gethsemane to be? Such an amazing place. Thanks for the tour. I never really pictured the Garden in my head before, but now I will. Thank you for the pictures, Amber and sharing your experience. It must be amazing to stand where Jesus walked.